The Microsoft® Project 2007 online training program is designed to support project management professionals willing to enhance their proficiencies in the use of Microsoft® Office Project to efficiently initiate, plan, execute, monitor and control and close projects. The course is sub-divided into two sections - 'PM Fundamental Learning' and 'MSP Learning'. Users can spend as much time as they like in each section. we recommend that users first go through this section before starting the MSP Learning section as it will update their PM knowledge for better understanding of MS Project tool. There are 7 lessons that comprehensively cover the required training. These tutorials are user friendly and guides the student to understand the concept clearly. 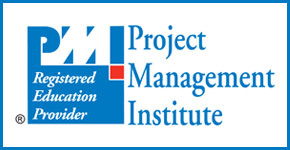 The 11 knowledge areas of PMBOK – Integration management, Scope management, Time management, Cost management, Quality management, HR management, Communications management, Risk management, Procurement management and Stakeholder management are covered. The Lab Test are practical assignments given to students to prepare and understand the concept of MS Project clearly. There are 20 Lab tests to equip students with hands on practice.